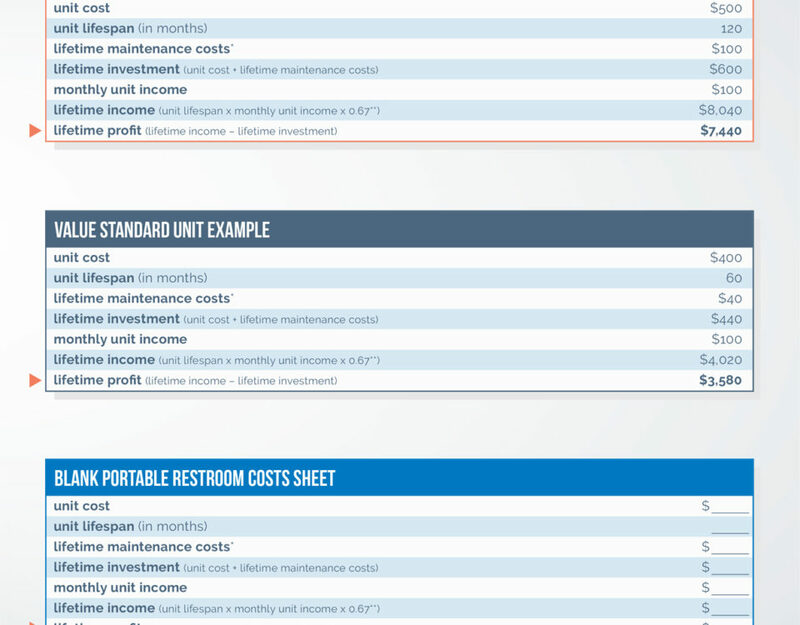 As a portable restroom operator, you know how quickly small fees add up. However, you may not realize the nuances of pricing your portable sanitation services correctly. Regardless if you’re new to the industry or a few years in, it’s vital to assess your cost per unit and value per service. Lousy math amounts to less revenue. While many PROs use a flat fee that’s charged across the board, others add surcharges for value-added services or discounts for long-term customers. Methods and rates vary by business and location. Figure out your pricing using a base rate that balances cost and value. Then, add in your desired profit margin. 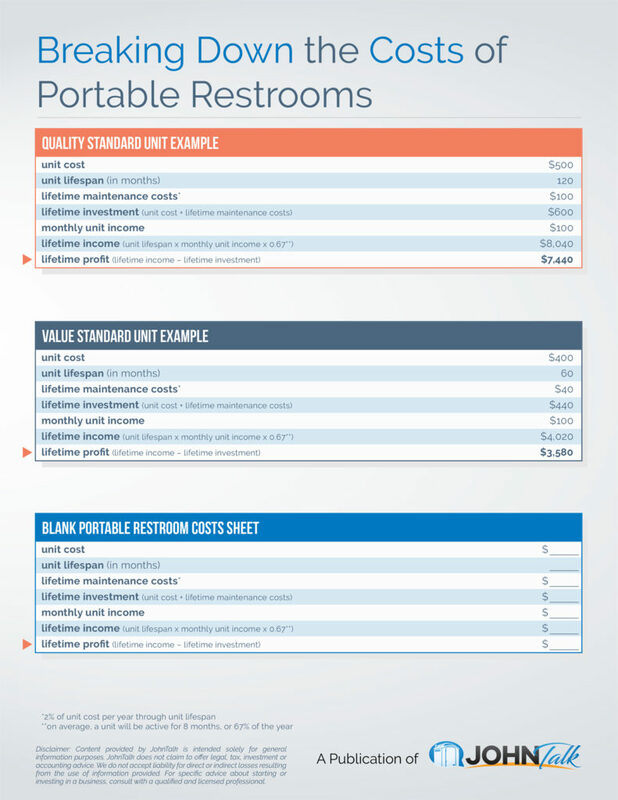 The cost of doing business in the portable restroom industry varies by region. Prices of equipment and supplies frequently increase. Regardless of the formula for determining service pricing, there are specific numbers that you need to know. Direct expenses that tie into the services performed. PROs calculate each cost that occurs when taking a unit to a customer. 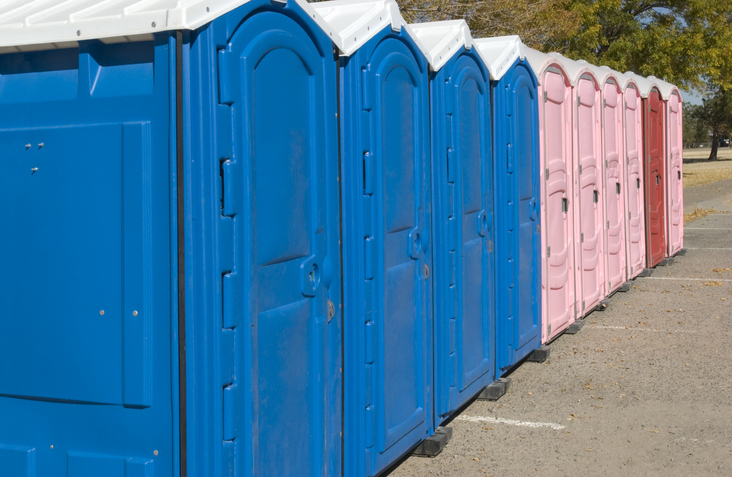 Direct portable restroom expenses include diesel fuel, chemicals (like cleaning supplies), toilet paper (and other paper products) driver time, dump fees, tolls, and additional fees. 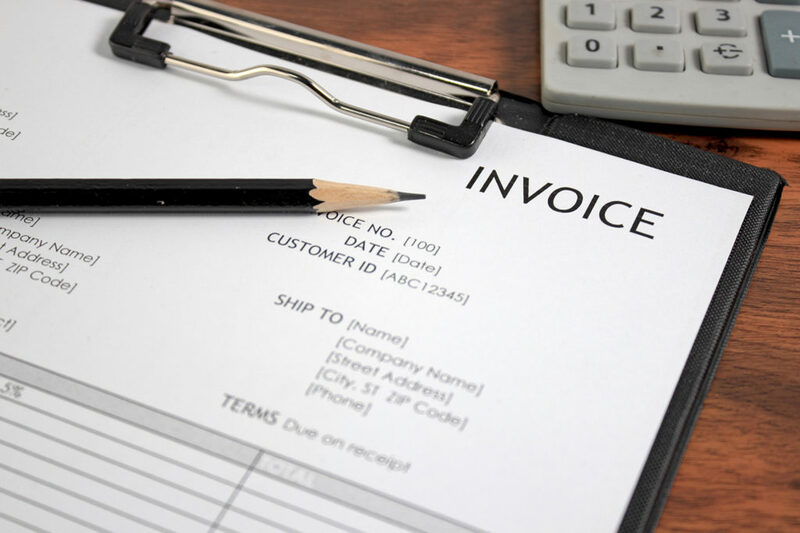 Indirect expenses are your overhead. Incorporate a percentage of this amount in the pricing of every service and product. Indirect includes rent and utilities, administrative and other salaries and benefits, phone, internet, business subscriptions, and advertising. While prices vary from region to region, using reliable data to figure out your bottom line makes good fiscal sense. Pay attention to your base numbers. First, figure out your cost per unit according to your driver and route. X = Driver cost per unit: Take your driver’s hourly rate multiplied by weekly hours. Then, divide the total by the number of units serviced. Y = Direct costs relating to service: Cost to dump waste and add deodorizer and toilet paper. Z = Percentage of overhead per unit: Total price of indirect costs reflected in service fees. Once you have your base cost, determine possible profit. By plugging your data into this formula, you can estimate revenue from various routes. Now, take this number and review your competitors. Every business plan should include information on competitors. 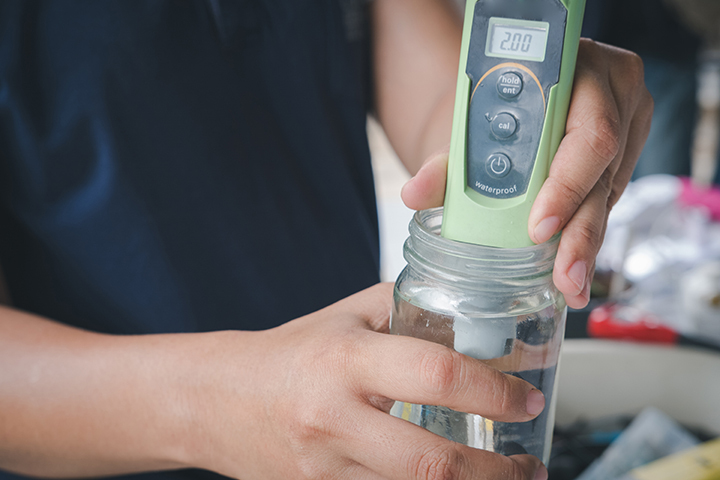 Knowing what your competitors charge and why they charge it is essential in the portable sanitation industry. PROs don’t need to try and compete or change their pricing to fit in with the competition. Instead, look at your bottom line plus profit needed and see where you fit. Use this knowledge to figure out what separates you from the competition. Let that reflect in your service costs. Cost-based flat fees work great for construction sites or individual customers. However, a huge special event requiring additional care or time ultimately costs your company more indirect costs. The same goes for extra services of higher value to your customers, such as emergency services or off-hour services. If delivery hours don’t match up with a route you already have, you’re paying more, so you need to charge more. If one customer consistently requires more on-site time, this extra value needs to be included in your pricing. Use surcharges and extra fees in circumstances where you offer added value by complying with your customer’s requests or needs. Let’s face it, truck time is your most significant expense. Time is valuable. Set expectations early with customers, both in writing and in person. Difficult locations that take drivers significantly longer, due to rough terrain or a late customer, should incur added costs. Keeping your numbers up-to-date ensures you’re accounting for changes in business variables. These variables include cost of products, fees for services, wage expectations, competition, and economy. Is your math for driver hours and supplies correct? Underestimating the length of job or quantity of supplies cuts into profit. PROs who use data to review their pricing structure, while staying on top of local competitors and industry standards, find that a balance between cost-based and value-based pricing provides the most accurate figures.